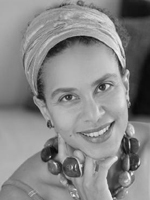 SARAH LADIPO MANYIKA LIVES IN SAN FRANCISCO. She was raised in Nigeria and has lived in Kenya, France and England before moving to San Francisco, where she teaches at San Francisco State University. 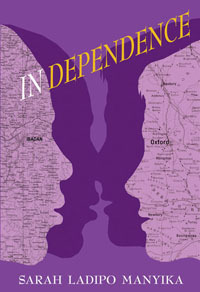 Her debut novel, In Dependence, was published by Legend Press (2008). Her story ‘Morayo’ explores the impact of an accident on an elderly female writer. San Francisco is a great city for writers in that it has many excellent bookshops; a fantastic library system and many venues where authors can hear other writers (famous and not so famous) discuss their work. It is a beautiful city that takes great pride in its cuisine, landscape and tolerant attitudes. Now if only that were all it took to be a good writer! I began writing out of a hunger for stories that explored certain locations, peoples, and ideas that nobody else seemed to be writing about. This continues to be one of the primary reasons why I write today. Why did you select this picture? 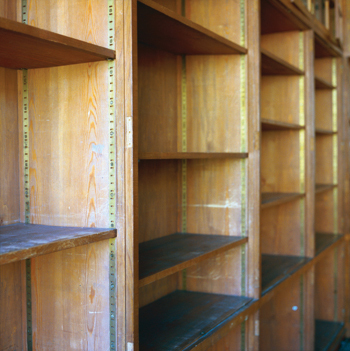 When I first saw this image of empty bookshelves I tried to imagine what was there before. Many things might have occupied these shelves but as I writer I was drawn specifically to books. I then began to wonder about the sort of person that might have owned or used the books. What if these shelves once belonged to an older lady who was a writer, and what if these books were the woman’s most valuable possession? What if, one day, she was separated from her books with no hope of retrieving them? I enjoy the short story form and often find it easier to manage than longer narrative forms such as the novel. This is especially the case when I am trying to juggle writing with other work and family commitments. Are visuals a useful writing aid? I am frequently inspired by people that I have observed or by snippets of conversation that I have overheard. However, having now written this story to accompany a photograph, I find myself increasingly drawn to other photographs as an additional source of inspiration. I am working on several projects at the moment including a longer version of my story ‘Morayo’ — turning it from a short story into a novella.